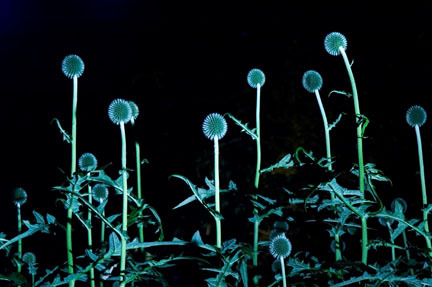 We're accustomed to seeing plants and flowers by daylight, but Linda Rutenberg's images reveal the drama and mystery of the garden by night. This accomplished fine-art photographer from Canada has a striking coffee-table book entitled, The Garden at Night: Private Views of Public Edens. She has a BFA in film and music and an MFA in photography from Concordia University, and has been working as a professional photographer for about 30 years. She has also taught photography for a long time, which include workshops in black-and-white darkroom, photo essays, street photography, travel, infrared, Polaroid transfers, and photographing gardens. "I also teach a workshop called 'Breaking Boundaries,' which is for people who have been photographing for a while," she says. "It gets them to start thinking differently about their work." She is also lecturing at some of the gardens she has photographed. She got the inspiration for The Garden at Night while she was doing a night photography project, and found that cities were often overly lit after dark. "I decided to go out with my digital camera and really explore the dark and mysterious areas that still existed in Montreal, and everywhere I went in large cities," she says. "When I do a project, I like to read poetry or books on the subject just to give me more food for thought." For inspiration, she read a book entitled Acquainted with the Night by Christopher Dewdney (who has written the introduction for The Garden at Night). "It was basically an encyclopedia of night lore," says Rutenberg. Then she was sent to a garden near Quebec City to shoot an assignment for Landscape Architect magazine, which involved photographing the International Garden Festival during the daytime. "The director suggested that I get there very early in the morning because he said that the light was the most beautiful at that time," she says. "Because we have this Volkswagen Camper, I asked whether we could stay overnight in the garden itself." 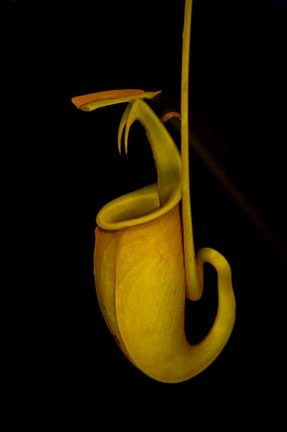 And because she was inspired by the possibilities that nighttime offered, it occurred to her that it would be interesting to shoot the garden while she and her husband were there after dark. Her husband lit the foliage with a flashlight while Rutenberg took pictures. "It was our first attempt and we really didn't know what we were doing, but the results were very interesting," she says. After this, she photographed the Chinese Lantern exhibition in Montreal, which takes place annually in October and is open at night. "This time I had more of a sense what I was looking for," she says. The resulting images turned out beautifully, and Rutenberg realized she had the opportunity to do a very interesting project. Thus, The Garden at Night was born. This is the first book in a series, and features 16 American gardens and 4 Canadian gardens. 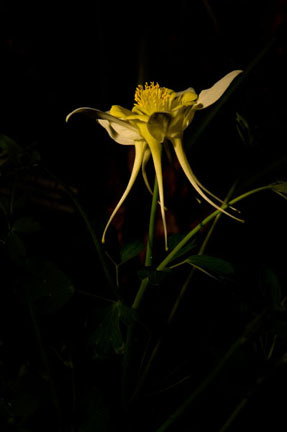 Rutenberg has just finished her second book about botanical gardens at night, called After Midnight: Through the Seasons at the Montreal Botanical Garden, which she photographed over the span of all four seasons of the year. She has also signed a contract to do a third book called The English Garden at Night, and will be traveling to Britain to do the photography. 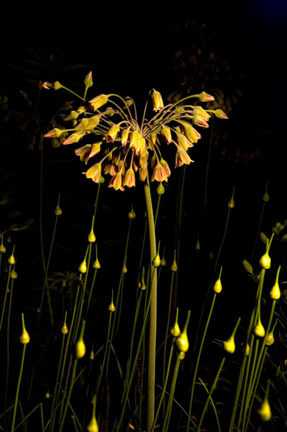 As for lighting foliage at night, Rutenberg says, "Essentially, there are three different types of lighting: Some are done by moonlight with very long exposures, and some of the shots are done with existing light in the garden - not using the light they're providing, but the falloff from the light. But most of the lighting in the book is done with pocket flashlights." She estimates that about 75% of the lighting is done with flashlights, and her husband works with her on this. "He's the lighting expert. We've photographed about 25 gardens at this point, and we've created our own language in using the type of lighting we want." She adds, "It's very simple equipment, but not simple lighting because you really have to understand the subtlety of light in order to be able to light these pictures correctly with flashlights." Rutenberg and her husband prefer to arrive at the garden during the afternoon prior to the evening that she plans to shoot. "We get maps and do a walk-around to make sure we're familiar with the pathways," she explains. "I make notes of places that I want to come back to." When they come back at night, she looks for interesting plants and insects and figures out how she's going to photograph them. "We don't use any photographic lighting at all," she notes. "I like the fact that it's kind of 'low-tech,' in a way. When we arrive at these gardens, sometimes the people ask whether we're bringing in big strobes, and I say, 'no, I have everything I need.' I have a little knapsack on my back and so does my husband. I also have my tripod, and that's it!" She says she's been very fortunate in terms of weather when shooting this project, and that she spent two nights in each garden. "We were very lucky. Out of the 40 nights that we shot 20 gardens, we only got rained on twice. The flower Gods were with us." She has always taught students that it's not only the camera equipment you're working with that's important. "It's more important that you develop your eye," she maintains. "I encourage myself and my students to compose in the camera." Rutenberg adds, "The exciting thing about this project is that it evolved from another one. You should keep an open mind, experiment, and follow your instincts." 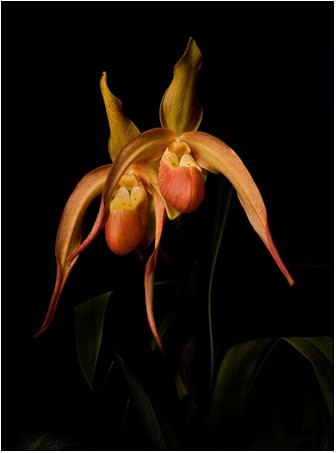 Learn more about Linda Rutenberg and her images.